Women are great at taking care of everyone. We take care of our parents, our husbands, our children and others in the family, but we are the most careless when it comes to our own health. It is really important to take care of your health as diligently as you take care of everyone else's in your family. Besides proper exercise, your nutrition is the most important thing you need to take care of. The dietary requirements of a woman are not the same as that of men or children. So it is worth knowing which foods are a must-have for your good health. - Dairy Products: Low fat milk, low fat curds, paneer, Parmesan cheese etc are all a must in your daily diet because you need to average 1000 mg a day of Calcium. Remember women are prone to Osteoporosis, so this is a MUST-do! - Proteins: Everyone needs proteins, not only for proper functioning of the body; but also to maintain the shape and size of the body. So you must include your choice of foods from lentils, paneer, soy foods, eggs, chicken and fish into your diet. - Iron Rich Foods: Women are also prone to anaemia due to the calorie restrictions they subject themselves to, in order to lose weight. So you must pack a good daily dose of leafy green vegetables, iron enriched grains, lentils, egg yolks, beans etc. - Broccoli: This super food is not called so for nothing! Broccoli is super rich in Vitamin C, which produces collagen, thereby providing elasticity to the skin. This is why you can prevent wrinkled skin just by getting a good dose of Broccoli in your daily diet. - Potatoes: It is a good idea to inlude more potatoes in your diet and reduce the grains because potatoes are less calore dense. These spuds also provide a good dose of Potassium, which helps in maintaining BP. 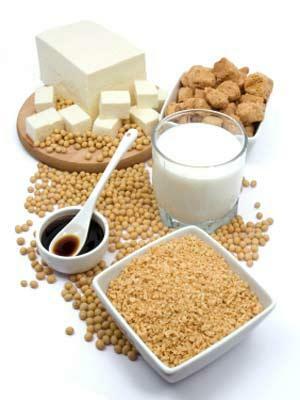 - Soy Products: Soy products are especially recommended for women because soy is the only natural source of phyto-estrogen. This hormone if very important for your overall health so it is a definite must-have in your daily diet.